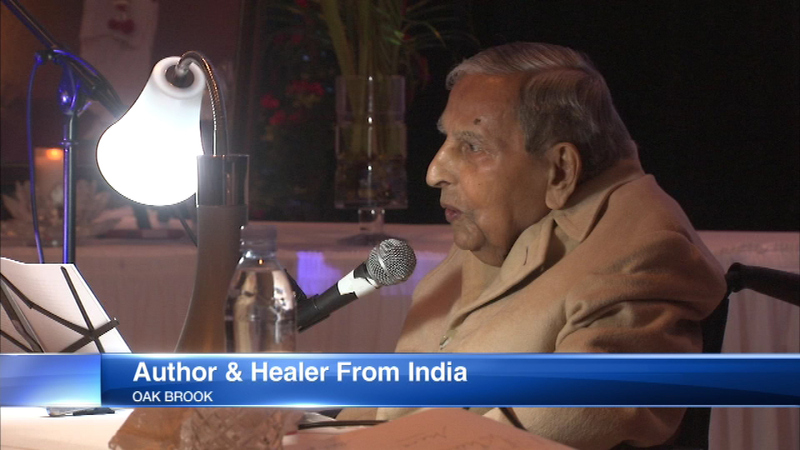 Hindu holy man, Dada J.P. Vaswani, 75, visited Oak Brook as part of his North American tour. OAK BROOK, Ill. (WLS) -- A beloved author and healer from India visited with followers in west suburban Oak Brook Saturday night. Dada J.P. Vaswani, 75, is on a North American tour philosophizing about the need for an individual to stay connected to their spiritual beliefs - whatever it may be - and to others. He said doing so will stave off loneliness. The sentiment is a theme that runs through dozens of books the Hindu holy man, or "sadhu," has written. The talk also offered practical suggestions on how to be happier. The president of the village of Oak Brook, Gopal Lalmalani, helped bring Dada here. "He signifies the uplifting of humanity and it is the purpose of his mission," Lalmalani said.